Is your home office organized enough to keep you efficient and productive? With the flexibility of technology, many people enjoy the benefit of working from home. 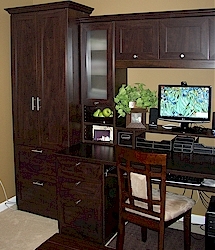 And with our fast paced lives, an organized home office is essential for your work or business. A disorganized space can make time less productive, cause stress, and give you an overwhelmed feeling. Your first step is to make the decision to get our home office organized. Make it a priority. 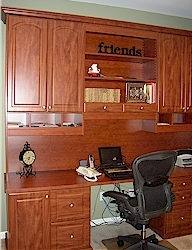 Our creative designers can make a dream office for one or multiple users. 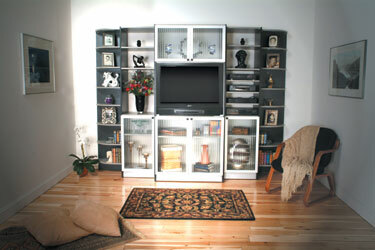 It can be built like free-standing furniture that looks "built-in" or standard wall and/or floor-based systems. Basic or Deluxe, but definitely functional. We offer frosted glass-framed doors, file drawers, Matching Formica surface areas, raised panel faces contemporary or traditional, crown, base, choice hardware and more. 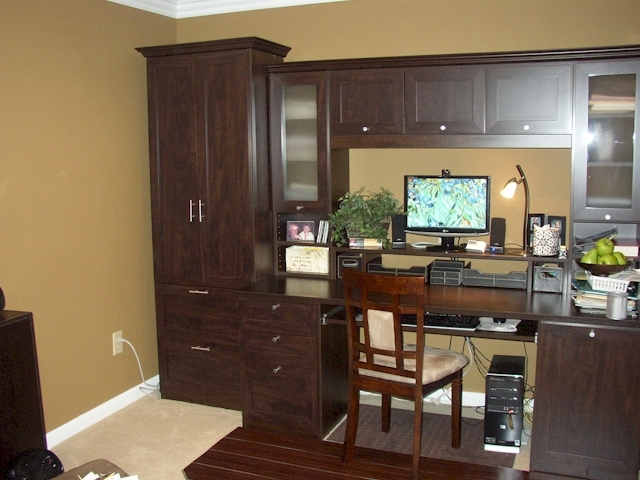 Give yourself and your business a reason to succeed by calling Ohio Custom Closets in the Cincinnati area today to get your home office organized today. 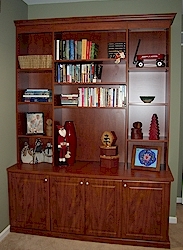 We build Custom Entertainment Centers. Need space for your CD's, DVD's, Home Movies? Need a great spot for your new TV? Want to add artwork or collectables to beautify your Living Room or Great Room? 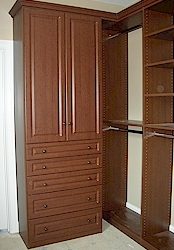 Call Ohio Custom Closets at 513-576-6755. It's what we do. Web Site by: IVY Technologies, Inc. Copyright © 2002-2017 Ohio Custom Closets, Inc.